On a rainy night in October a police detective sat in his chair at home with a bottle of Jack Daniels by his side. It was his birthday, his children were asleep and he was alone. It had been a particularly hard day at the precinct. He had finally sat down for the first time that night, with intentions of getting drunk and forgetting his troubles. This detective's troubles were not only of his job and the witnessing of human destruction he experienced doing that job, but also of his own life in general. He began to stare at the bottle thinking he should drink as he did most nights until he passed out in his chair. But this night was different. On this night he was afraid to drink from the bottle. He began realize how much of a tragic and pathetic experience his life seemed to be. He thought to himself "Dear God, what has happened to me. What am I to do." He thought of his ex-wife who left him for another man, and how guilty he felt for not being more upset about that experience because he knew he never really loved her in the way that a husband should. His next thought was that of his two beautiful children that were asleep in their rooms. He thought of how void their life has been of physical affection. His guilt began to swell as his eyes started to water. He felt he was becoming like so many of the people he had dealt with throughout his career; absent of emotion and affection for those who were close to them. By this time the man took the bottle in his hand and was holding it with a grip that would surely break most bottles. His thoughts then turned to a woman he had met after his divorce; a woman who he had fallen in love with at first sight. He laughed to himself as he thought of what he would say to someone who told him they had fallen in love at first sight. Before his experience with this woman, he had never believed in love at first sight, and believed it was only in storybooks and fantasy. His thoughts quickly changed to a deep depression as he realized he would never have this woman, because she was in love with another man. He thought of the many times she had helped him through difficult times and how he had tried to do the same for her. He began to wonder if he would ever find someone close enough to share his life with. He knew he wasn't an outgoing man, and couldn't see having the time to find someone because of his long hours at work and responsibilities to his children. As the man continued on his track of self-destruction and self-pity he began to think of the many horrible things he had experienced in his career and began blame the way he was on his career. The memories of children killed in car accidents, or parents killed and children who survived. The many child abuse cases that he investigated and how disgusted he was with himself each time he took the side of the abuser in order to get a confession. The memories of suicides he witnessed and the friends and relatives he had to notify of the loss. The man began to weep uncontrollably as he began to twist the top off the bottle. By this time it was approaching one o'clock in the morning. As the man began to lift the bottle to his mouth, the phone rang. The man; already upset was angered, thinking who other than work would be calling at this time of night and disturbing his children's sleep. He answered the phone in a stern voice asking "Yeah, who is this!" To his surprise the voice on the other end was a recording, "If you have a Touch Tone Phone, Please press One." He chuckled to himself, thinking how typical it was for him to get a sales pitch over the phone at one o'clock in the morning. Rather than hang up he listened more. The recording repeated itself "If you have a touch tone phone, please press one." The man noticed the recording kept repeating the same message. He thought this was odd, "What if I don't, do I just hang up?" Thinking this was some sort of scam he played along and pressed one on his phone. The message then changed to "For information regarding your work, please press two. For information regarding your children please press three. For information regarding your relationships, please press four. For information regarding your life and its purpose, please hold and the next available representative will be with you." Confirming his convictions of a possible scam the detective remained on-line and waited for the representative, so he could tell them who he was and what he did. As he waited a few seconds the recording then said "Please hold, all of our representatives are busy at the moment with other customers, we apologize for the inconvenience, a representative will be with you shortly." As the music began to play the detective became more irritated, thinking "Who on earth has the nerve to call me at one o'clock in the morning and then put me on hold?" Just then a deep elderly man's voice came over the other end of the phone. The elderly man began by saying "My son, by not choosing one of the first three choices, you have elected to receive information regarding your life and its purpose." "Do you know who I am!" the detective replied. The elderly man answered saying "I know everything about where you have been and where you are going my son." "Who is this!" the detective answered, raising his voice. "I have called you because you have questioned your worth and have doubt in your purpose in life." "Yeah, what do you know about it!" the detective smartly replied. "Put the bottle down my son as I explain what meaning your life has." Being very confused the detective complied, not knowing really why he did. "My son, do not weep for that which has occurred. I have been by your side all your life, and have experienced the difficulties you see, ten fold. You see only the negative outcomes for your experiences, but I see valuable lessons that have gone unnoticed by you. Your faith in me over the years has diminished each time you witnessed a tragic event. Each accident, suicide, and abuse situation you encountered was a message for you to come and join me hand-in-hand through your journey in life. Over the years you have separated yourself from me and taken life for granted. I gave you a wife, so that you would learn the ability to have compassion for those who have little compassion. I gave you a son and a daughter so that you may learn to cherish life and understand what a gift it really is. I brought you a messenger in the form of a woman with such inner beauty that you may feel what it was like to be loved by another, and to learn from her the ability to accept and trust me for what I am." "Learn that love comes in many forms and accept that she loves you because you are a friend. Learn from her that friendship is a true test of love. Continue to help her in her times of need and she will continue to help you." 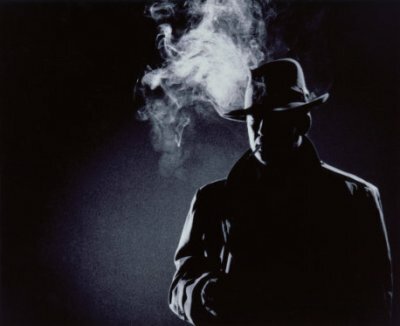 The detective then asked, "If you have been by my side all my life, why have you waited until now to call me." The voice on the other end replied, "I answer all those who call, and until tonight you have never called me." The detective then began to feel concerned that he was too late for the calling. The elderly voice then said, "my son, as long as you are alive, it is never too late. Take the experiences I have given you and embrace them with all your heart. Learn to be compassionate for your fellow man, learn to show the love you feel for your children, surrender your troubles to me and have faith in me." " For if you follow this simple advice I will not only be by your side but I will carry you through your journey. Do not worry for what has not yet happened, but trust in me, for I know what I have in store for you." The elderly voice then concluded by saying, "Feel free to call on me anytime, the cost is only that of a prayer." After hanging up the phone, the detective then poured out the bottle of Jack Daniels and went to sleep thinking of the profound event that had just occurred. He awoke the next morning with a determination to change his life forever, and started his new journey with the "Lords Prayer."